Whether you are getting ready for a league match or a tournament, your body needs to be prepared. One of the worst pains you can endure is cramping. Cramping is one of those problems that people seem to forget about until it actually happens. This is not a good habit; you want to get ahead of cramping and prevent it. Fortunately, there are many ways to stay cramp-free from the first point to the last! What is Cramping and When Does it Happen? Cramping is when your muscles suddenly and involuntarily tighten with severe pain. Often you will see the muscle in a tense position that is hard to move. This is due to the excessive loss of fluids, electrolytes, and carbohydrates. Cramps usually occur when your muscles are fatigued at the end of an intense workout or a long match. Workouts or matches that are in hot temperatures and last more than 60 minutes are prone to providing athletes with cramps. Additionally, players who sweat more are at a higher risk for cramps. For example, many pro tennis players get cramps during the Australian Open and US Open Series tournaments because they are not ready to play long matches in 90+ degree weather. If you know what the temperature will be and know you’re playing a challenging opponent, you need to be prepared. On the left, Jack Sock cramps up during his second round match at the 2015 US Open (Sept. 3, 2015 – Source: Al Bello/Getty Images North America). On the right, Garbine Muguruza suffers a major leg cramp in her second round match of the 2018 Brisbane International (January 2, 2018 – Source: Franca Tigani/AFP/Getty Images). Training should always come first so that your body is ready for endurance tests. Just like in other sports, training is vital in tennis to get your body used to outside elements, longer periods of muscle usage, and performances at higher intensity. Every person is different, so it may take longer than you expect. Depending on where you live, the weather may be hotter or colder than what your body is used to. No matter the weather, your body will need to adjust to the temperature in order to perform at its best. In hotter climates, it is best to get the most training in during the hottest times of day. You can easily increase the length of your workout/practice as your body gets use to the temperature and humidity. Even in colder climates, you will still need to prepare your body for outside elements that may not occur during your workouts or practices. Dehydration is a major factor that can limit your ability to perform in any situation. Severe dehydration also leads to cramping because of the amount of water your body has lost. Many players will try to overcompensate for water loss during or after the match, but this is actually worse for their bodies. To prevent dehydration, players should follow these guidelines laid out by dotFIT. dotFit is a fitness and nutrition site that educates people on the proper ways to take care of your body during exercise. * General Fluid Requirements: fluids should be cold and palatable, containing no more than 8% carbohydrates. * Pre-Exercise Guidelines: Players should drink anywhere from 16 – 24 ounces of water at least two hours before their match and an additional 8 – 16 ounces on hot/humid days about 30 – 60 minutes before play. * During Exercise Guidelines: During the match you want to consume 3 – 6 ounces of water and/or sports drink every changeover. For prolonged exercise, choose a sports drink with small amounts of electrolytes. * Post-Exercise Guidelines: After you finish the match continue to drink at least 16 – 20 ounces of fluids for every pound of weight lost. Sodium is one of the most important electrolytes to be concerned with during intense exercises. We lose most of our sodium when we sweat, and failure to replace it can lead to serious trouble. Players should always have a high-sodium sports drink on hand, and consume salty foods before, during or after an intense match. Carbohydrates are another factor in cramping that gets misunderstood. Carbs are the primary fuel used when we exercise, and our muscles need them to provide energy throughout the body. When there isn’t enough fuel to circulate throughout our muscles, our body gets too exhausted and then we cramp. It takes only 60 – 90 minutes of exercise to reduce our carb levels. To get your body ready, be sure to eat a carb-rich meal at least 4 hours before your match or a carb-rich snack 1 – 3 hours before your match. If you think your match is going to be longer than 90 minutes, then plan on consuming some carbohydrates during the match as well. If your body is not prepared for your next match and you are prone to cramping, here are some products that will help your body recover. 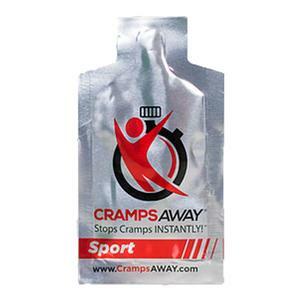 CrampsAway Pro and CrampsAway Sport Gels come in liquid form and stops muscle cramps almost instantly. Their formula includes essential vitamins and electrolytes that are lost during intense workouts. CrampsAway can be taken before or after a cramp occurs; just swish it around in your mouth for 60 seconds. Pros Jack Sock, John Isner, and James Blake use this product because it works at the time you need it to. 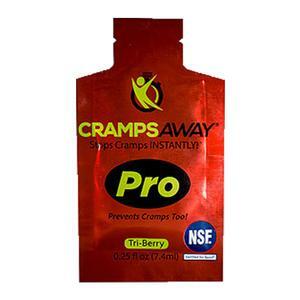 Note that the CrampsAway Pro formula is 25% stronger than the Sport formula. 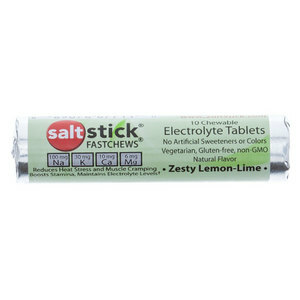 SaltStick has Fastchews and Capsules to help you stop cramping. 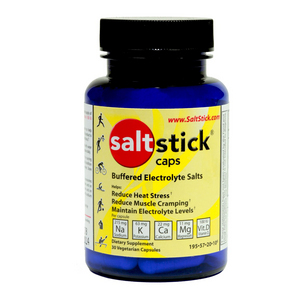 Saltstick Fastchews come in Lemon-Lime or Orange and have a formula that provides a balanced supply of sodium, potassium, magnesium, and calcium, which mirrors the electrolyte profile lost in sweat. Saltstick Capsules have an identical formula to the Fastchews, but come in an easy-to-swallow pill. This pill has buffered salt composition to help with digestion and absorption in your body. Both products are all natural, gluten-free, and contain no artificial sweeteners or colors. Clif Bar and Co has several gels and energy supplements to help you through cramps or low-energy periods. 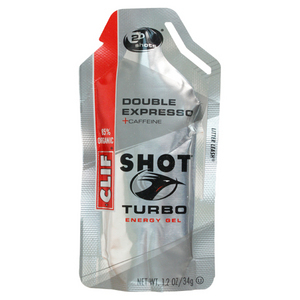 The Clif Shot Turbo Energy Gels have a combination of sodium, potassium and carbs to help with muscle recovery and a quick response. These gels also have two shots of caffeine to give you an energy boost during match play. This gel is best consumed right before your match and again later on with water. 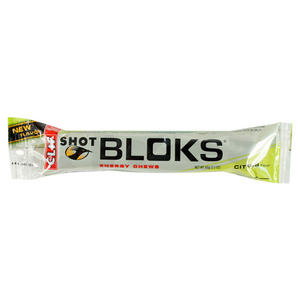 Also available are Clif Bloks Energy Chews. 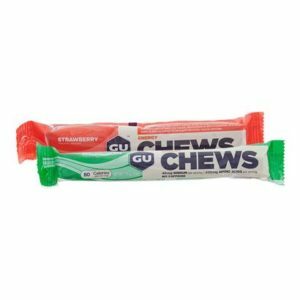 These chews are packed with organic ingredients to provide essential energy and hydration for peak performance. 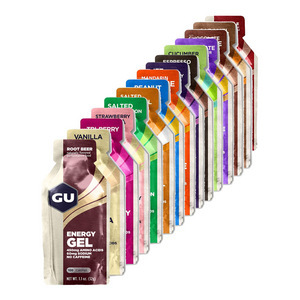 GU Energy Labs is a well-known sports nutrition company with several products to help athletes across all sports. They have Energy Gels, Hydration Drink Tabs, and Energy Chews that can help fight off cramps. 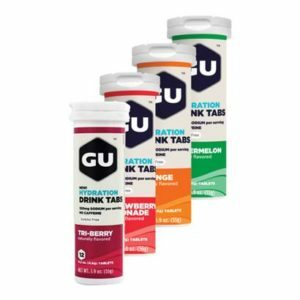 All three products have the mix of electrolytes and carbohydrates that you need when competing for long periods of time. The Hydration Drink Tabs provide you with the most sodium and are great for players who lose a lot of sweat when they play. 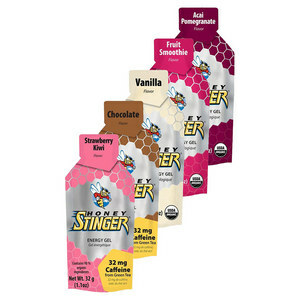 Honey Stinger incorporates organic honey into their anti-cramping products. Honey is a natural source of energy, antioxidants, and carbohydrates that helps athletes with endurance. 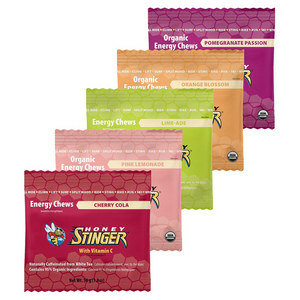 The Organic Energy Chews have a combination of tapioca syrup and honey to provide athletes with the essential minerals they may lose during an intense competition. The Energy Gels are made with honey and essential vitamins to help players maintain energy levels and recover from intense workouts. Before you go out to your next match, think about how you can prevent cramps from happening. Any athlete can prevent cramps as long as they are prepared. Remember to have a good balance of electrolytes, fluids and carbohydrates before you start sweating. Pick up your CrampsAway, SaltStick, Clif Bar, GU or Honey Stinger products today at Tennis Express so you can be ready for the long haul. For More Info on Beating the Heat, Check Out Our Other Blogs!